Sometimes when life turns out awful, you wish you could turn back the time and return to your childhood, where pain was only caused by bicycle accident and cry was triggered by your parents for not letting you to have candies. Everything was pretty sunshine back then. Well, I wouldn't say it was impossible. 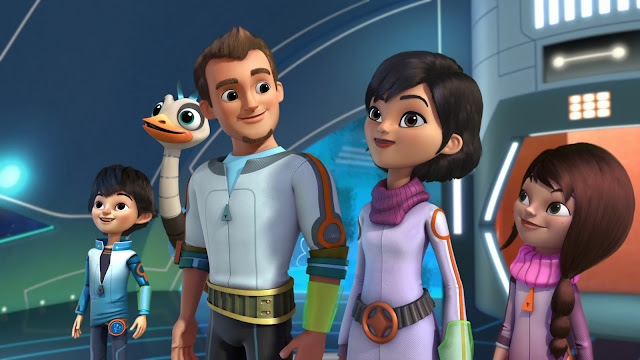 Disney Junior's "Miles from Tomorrowland" an intergalactic adventure series, blasts off 17 August at 9 am on Disney Junior (Astro Channel 613). 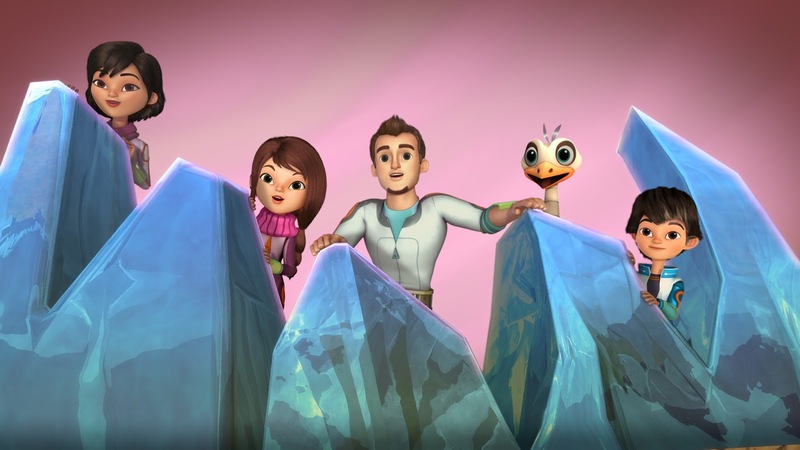 This brand new program for kids aged 2-7 incorporates unique space and science facts as it charts the outer space missions of young adventurer Miles Callisto and his family. The Callisto family includes mom and ship captain, Phoebe; mechanical engineer dad, Leo; tech-savy big sister, Loretta; and best friend pet robo-ostrich, Merc. 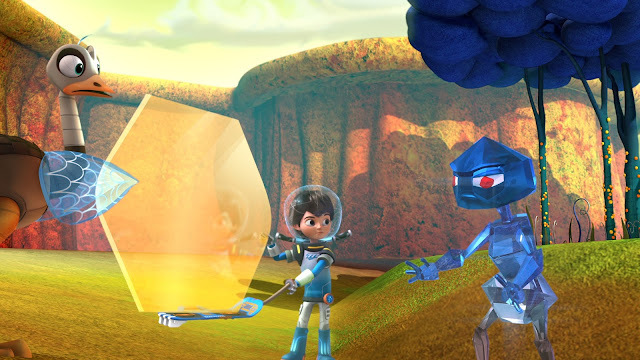 Together, they explore new galaxies filled with peculiar aliens, space-age vehicles and high-tech gadgets. They will take young viewers and their families on a futuristic journey while at the same time reminding them the importance of what lies close to home - the family bond. In anticipation of the series launch, the search is on for Disney Junior's Space Adventures across Southeast Asia! Kids aged 2-7 are encouraged to create they very own Starjetter - an exploratory spaceship that the Callisto family use for their short space trips. 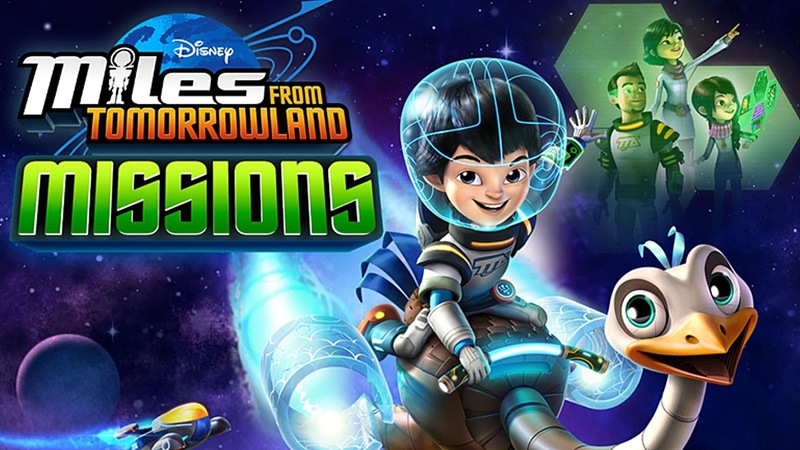 Familues in Malaysia may head down to Petrosains, The Discovery Centre at Level 4, Suria KLCC from 1 August 2015 to check out special Miles from Tomorrowland-themed activities! Just simply click for the more info, Disneyjunior.asia. 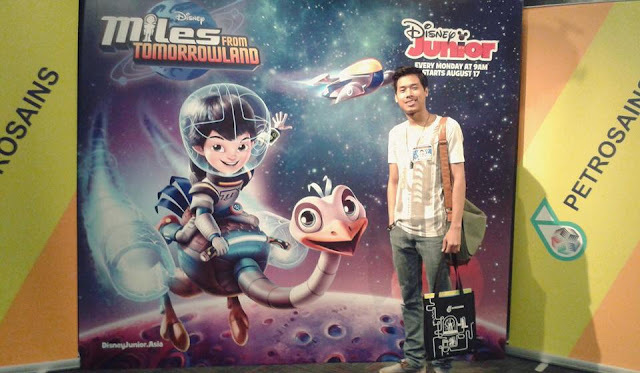 I had a wonderful time there, being a kid for a day, though most of the bloggers were either mama's or married couple. I was there alone, it was terribly awkward. But no fear my fellow readers. 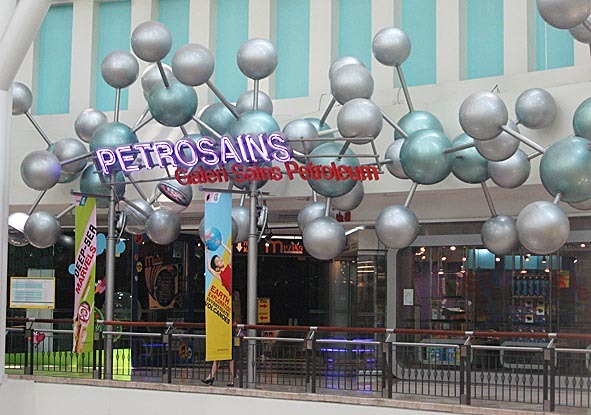 I was there for multiple reasons - one of it was for the Petrosains. It's literally a combination of the word "Petronas" and "Science". It took me completely back to the time when I first visited Chongqing Science and Technology Museum. I was only in my final year of high school and that little trip had given me a different view in science. With all various kind of interactive programs and games, I leaned pretty much everything they exhibited. Same thing applies here in Petrosains KLCC. It's not just all exhibition and gallery. Kids don't find that fun any longer. Informative, but seriously not fun. There was this one machine in Petrosains, which I found absolutely brilliant. The machine was designed for two people and we had to sit face to face across a long rectangular table. Inside the glass table, they place an iron ball which could be moved using your mind. Yeah, I freaking said it, with you MIND! Literally mind blowing. We had to strap a specially made headband and this device allowed us to control the iron ball with the wave in our brain. In another word, the calmer you get, the further the ball will roll. Awesome! This place has been around for quite sometimes and it's been a great attraction for all the visitors in KL, including my very self. Stay tune for more of my reviews on some other topics. Thanks for reading this y'all!